Garages can very quickly become dumping grounds, but by following a few simple tips, organising your garage doesn’t have to be the chore it is often believed to be. What’s more, by tidying it once, it then becomes easier to keep that way in the long run. Let us show you how! For many people, their garage becomes a place where unwanted household items get placed to gather dust – a case of out of sight, out of mind. However, what begins as one or two items soon becomes a pile of old goods that makes it difficult to manoeuvre around your garage. Therefore, the first step to organising your garage is to recycle, give away, or sell any items you no longer use. Once you have cleared your garage of unwanted items, it is time to clean the space you have recovered; this includes the garage door, ceiling and walls as well as the floor. Begin by vacuuming any dust and cobwebs and then move onto using water and cleaning liquids to remove any tough stains. Once done, not only will your garage look brighter, but the clean up will also remove any smells that may have lingered. At this point, you may even wish to give your surroundings a fresh lick of paint if you have any old tins lying about. 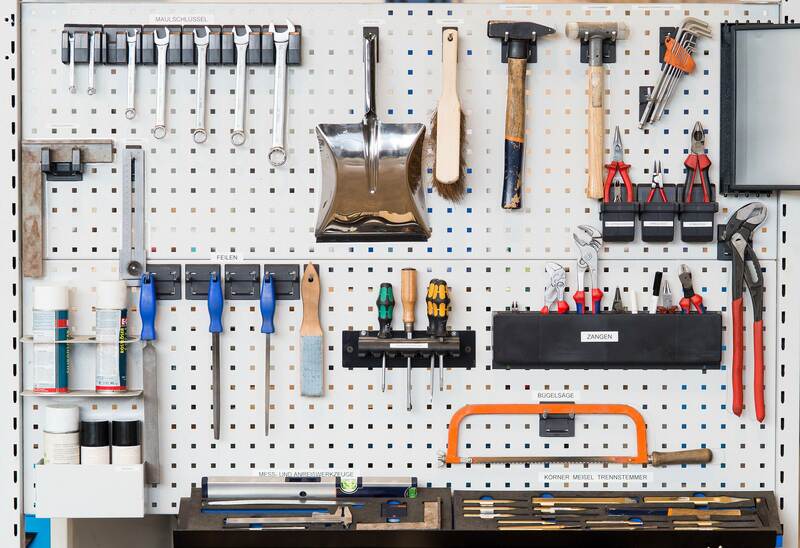 Organise the items left in your garage into their own functional areas, so gardening tools would be gathered together and sports equipment would go into another pile. Then store these items into individually labelled boxes or shelves for quick and easy access. Boxes and shelving units can be purchased cheaply at discount stores or charity shops. 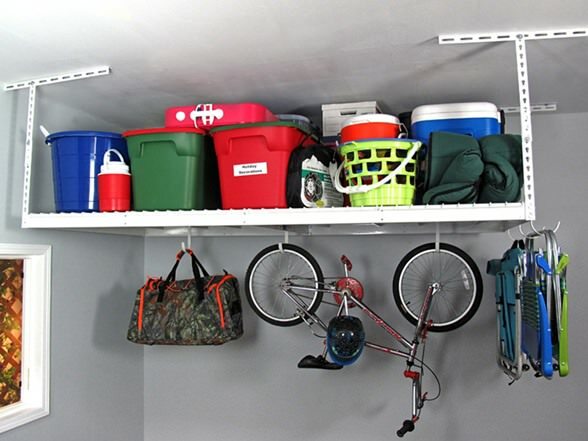 Mounting hooks on walls is ideal for holding the larger items in your garage like bicycles and gardening tools. And adding ceiling shelves is ideal for storing those lighter items you rarely use, for example, camping equipment. Not only will this give you more floor space, but your fixed items will be less likely to damage your vehicle. Additionally, it makes your garage look more attractive. 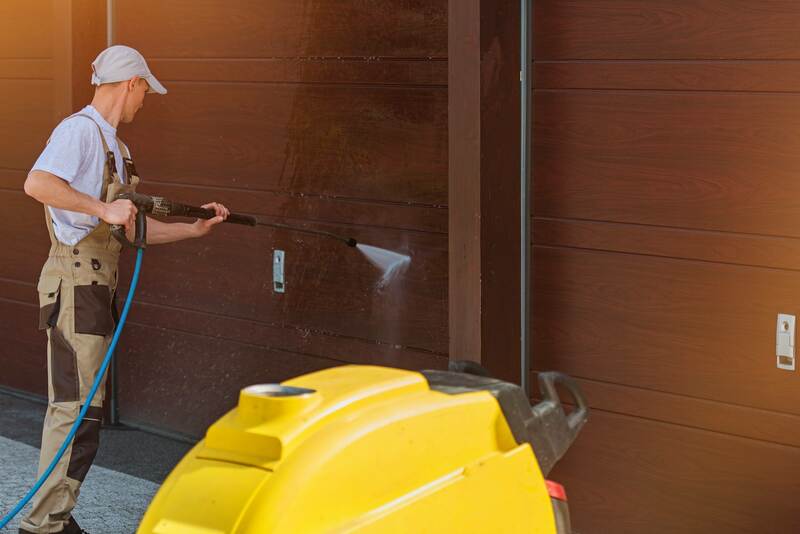 When cleaning your garage door, don’t forget to check it over to make sure all parts are functioning correctly. If you have any issues, then please do not hesitate to get in touch. Our expert engineers have thousands of parts ready and waiting to be fitted should your garage door break. What’s more, we don’t have a call out charge either!